Kenyon Wilson has lived in Wilmington all his 32 years. 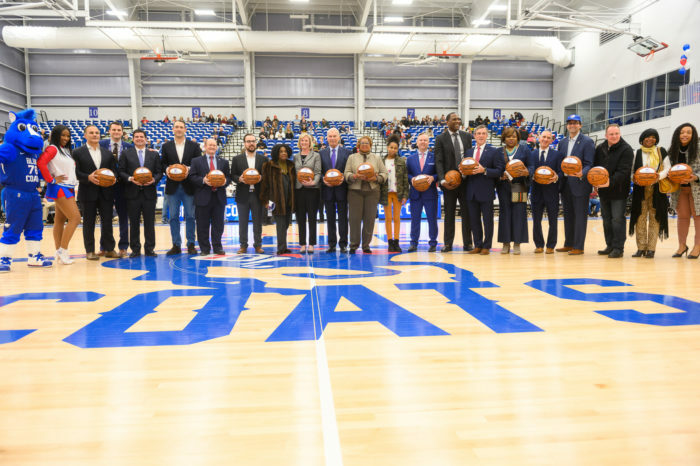 He didn’t even have to set foot inside the 76ers Fieldhouse for the first basketball game at the new facility to know he’d come upon a special place Wednesday night. The reaction of Wilson, who brought his sons Kenyon Jr., 9, and Karsen, 5, was common on a night the 76ers Fieldhouse hosted its first event. 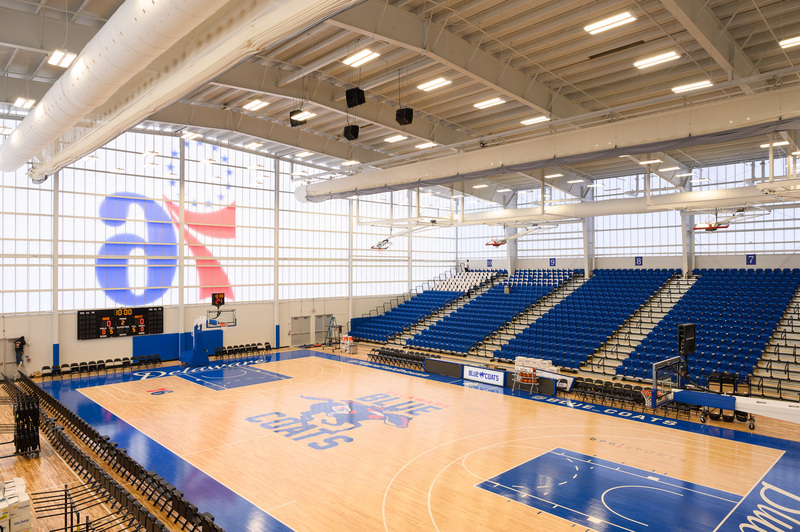 Its primary tenant, the Delaware Blue Coats, hosted the Memphis Hustle in an NBA Gatorade League game. Rising up and standing out in an industrial and commercial area along South Market Street, a few blocks from the Christina River, the 76ers Fieldhouse has already become a source of apparent pride. Lifelong Wilmington resident Norman Oliver, who from 1980-2001 ran the Stormin’ Norman’s Classic basketball league that involved thousands of city youngsters, felt it was just about the best thing that had ever happened here. “Look at the people coming in, the diversity. This is amazing,” Oliver said.